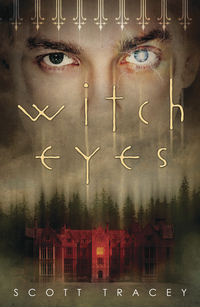 WITCH EYES is a series of three books, published by Flux, dealing with a small town full of secrets, a feud between families, and a young boy trapped in the middle. DEMON EYES will be published in the fall of 2012, and PHANTOM EYES will follow in 2013. Chosen as one of Amazon’s Best Books of 2011 in the LGBT category!